We are engaged in offering a very highly premium and excellent quality range of Pressure Sensor. Our range is known for its excellent quality and highly appreciated by the clients in all over the nation. Our range is available at market's most leading and competitive price. We are one-step ahead of our competitors in manufacturing a wide range of Differential Pressure Sensor. These are engineered as per global industrial standards and extensively recommended by various numbers of clients owing to its robust construction, durable performance and longer functional life. We manufacture these from first grade components which are sourced from certified vendors of the industry. These are available at market leading rates. A piezo resistive sensitive element creates a proportion voltage from the pressure applied on the sensor. 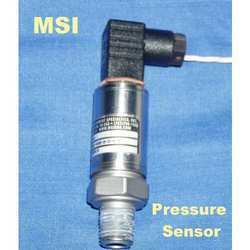 We are engaged in offering MSI Pressure Sensors Transducer. 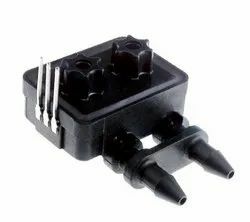 Looking for Pressure Sensor ?